The ever-evolving Viera Connect IPTV system is now available on many of the company’s plasma TVs, LCD TVs and BD players. At a recent press event, the company provided details including updates to the number of available apps. The article cites recent additions including a Social TV app, an AccuWeather tracking app and a new 3D car racing game from GameLoft. Peter Seid and Phu Nguyen of Seattle have launched Romotive to build robots that are “able to learn, grow, and change, both by adding new hardware modules to the platform, and more importantly, by bring to people everywhere a true ‘app store’ for robots, where robots can quickly gain functionalities based on the app they are running (and you can even code your own),” according to their Kickstarter page. The first is Romo, which offers a platform mount for your iOS or Android phone and treads that allow for mobility. Users can download Romo-specific apps that allow for a variety of games and other abilities. “Romotive builds accessible, highly functional, and flexible robotics platforms that are powered by a supercomputer already carried by millions — the smartphone,” explain the founders in their vision statement. Seid and Nguyen have included a short video on their Kickstarter page that describes some of the robot’s possibilities. Facebook has selected Taiwanese phone manufacturer HTC to build a smartphone code-named “Buffy,” after the television vampire slayer. Ironically, the device will run a customized OS from its main competitor, Google’s Android, and integrate a number of Facebook’s services, many of which will run as HTML5 apps. New iPad apps are rolling out this holiday season to entice the eight percent of online shoppers that own tablets. That percentage may seem small, but Forrester Research found that 60 percent of tablet owners use their devices to shop and many prefer them to smartphones or computers for shopping. For clothing company Anthropologie, iPad shopping accounted for six percent of sales this year and is expected to rise to 20 percent with the introduction of their new app. These new apps aim to provide a more interactive experience and capture some of the in-store essence by revamping their electronic catalogs and adding new features to their shopping pages. Revel Touch has built apps for multiple companies including functions like a “virtual dressing room,” that allows users to create outfits and the ability to share choices on social networks. Apps allow tablet shoppers to zoom in, see videos and find the sizes they want with ease. “You can bring the objects to life on an iPad and you can’t do that on paper — and you don’t have to chop down a tree,” the CEO of Catalog Spree told The New York Times. The company also reported that, on weekends, its users spend almost eight times as long on the retailers’ app as they do on the retailers’ Web sites. Multiple screens are being used while people are watching TV. According to Nielsen, some 70 percent of tablet and 68 percent of smartphone owners are using their devices while watching TV. Checking email and looking for related content or checking social connections are the most common activities. This dynamic is starting to have a wide-reaching effect. Advertisers, for example, want to use multiple screens to more efficiently reach audiences; networks are incorporating Twitter and Facebook to increase viewer engagement and participation; and TV OEMs are starting to package TVs with tablets. Startups are targeting TV with apps like Yahoo’s IntoNow, which can identify a show and bring up relevant information and social opportunities. Peel is an innovative recommendation engine and universal remote. TVs will be able to recognize users and recommend content based on preferences. They will also be able to incorporate your tablet and smartphone choices. And, of course, cloud-based apps will allow us to buy and watch TV anywhere on any device. Panasonic’s line of Viera TVs now ships with 12 embedded applications, including Hulu Plus and Netflix. About 120 third-party apps are also available for Viera TVs. 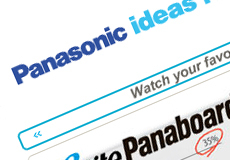 Just as PC users add apps to their computers, Viera owners are free to add content apps to their TVs once those apps go through quality-assurance testing by Panasonic. The company says that more than 40 million connected TVs were sold by 2010, and 2013 projections suggest sales of connected TVs will outpace those of PCs. “Panasonic also recently announced a new gaming app, PlayJam; a Bollywood movie/video channel, BigFlix; and the Viera Connect Market, whereby users can upload credit card information once and use it across a variety of apps, such as a demonstrated app in which users could buy 3D eyewear, among other consumer electronics devices,” reports Home Media Magazine. Mobile analytics firm Flurry has released new estimates based on iOS and Android app-enabled devices. According to the report, 25 billion apps will be downloaded in 2011, marking 300 percent growth from last year’s six billion. Five billion Apple and Android apps are expected to be downloaded in December alone, based on the surge typically associated with mobile shopping and people on break looking for entertainment. Revenue from the U.S. market will reach $2.5 billion, compared with 2010’s $1 billion. The increase in app catalogs has helped the increase. iOS offers about 500,000 apps and Android is around 350,000. ReadWriteWeb also points out that only 43 percent of U.S. consumers currently have smartphones, but the number is expected to reach 50 percent by Q3 2012, which will also fuel app downloads. A La Carte: Will the Future Apple TV Disrupt the Current Live TV Paradigm? Forbes speculates that the rumored future Apple TV would create a demand for single channels, which could potentially break up the cable pricing monopoly. Rather than paying for a package of a hundred channels, users would pay a la carte for content just as single-channel apps have become popular in the mobile sphere. “Presumably, Apple wants to disrupt this market the same way the iPod and iTunes made it easier for consumers to buy music, and the way the iPhone is slowly moving the cellular industry to data plans over voice plans (see: iMessage, Facetime),” suggests the article. Providers such as Time Warner Cable, Optimum and DirecTV already have apps for live streaming of channels. And ESPN, CNN and Major League Baseball have their own apps. Social Cinema: Will Film Distribution via Facebook Cut Out the Middleman? Hollywood studios are starting to use Facebook as a direct-to-consumer platform for streaming films, possibly cutting out services such as Hulu, Netflix and Amazon in the process. Universal, Lionsgate and Warner Bros. have distributed some 45 films via the Social Cinema app from Milyoni (pronounced million-eye). “What Zynga is to social gaming, Milyoni is to social entertainment,” reads the company’s website. Miramax and Paramount have used similar apps to offer movies for Facebook credits on fan pages. Rentals based on credits are running the equivalent of $3-$5. Facebook draws a 30 percent cut of transaction revenues. According to The Official Google Blog, Google+ has unveiled four new features this week. “What’s Hot” refers to a narrowed stream feature that allows users to see the posts that are trending on Google+. “Ripples” is a new analytics tool that allows users to track the flow of posts across a network, see who shares it and who it reaches. “Creative Kit” is a photo editing tool that goes beyond the regular cropping and tweaking to add interesting effects quickly and easily (the post includes a short video demo). And finally, Google+ is now available to all Google Apps customers worldwide. App downloads on Google’s Android platform now top iPhone and iPad combined, even in the absence of any competitive Android tablets. The OS accounted for 44 percent of all app downloads for Q2 of this year, according to a recent study by New York-based ABI Research. In the new Steve Jobs’ biography, the Apple founder rails against Android as a “stolen product,” one that he vowed to go to “thermonuclear war” in order to stop its success. Microsoft CEO Steve Ballmer recently derided the OS as well, adding you need to be a “computer scientist” to understand Android phones. “But a flood of low-priced handsets this summer has catapulted Android ahead of Apple for the first time in terms of app downloads,” reports the Daily Mail. However, Apple still leads in the per user category. “Android’s app downloads per user still lag behind Apple’s by 2 to 1,” explains Dan Shey at ABI. DIY HTML5 mobile apps anyone? Take a look at the video on ReadWriteWeb to see how quickly it can be done using Cabana. LinkedIn CEO Reid Hoffman, speaking at the Web 2.0 Summit, suggested that the next stage of the Web will involve creating apps and mobile UIs on top of our existing collective data. “Some people believe that a big part of that could come in the form of technology platforms that anyone can use to create those apps and UIs,” reports ReadWriteWeb. Mobile Web app creation platform Cabana now offers the Cabana Exchange API marketplace for app builders to add third party data and functionality. The post cites partners such as SimpleGeo for location data, and API service Mashery whose exchange will include APIs from Klout for social rankings, Qwerly for profile discovery, FanFeeder for sports statistics, Rotten Tomatoes for movie ratings, and WhitePages.com for contact info.